Characterization is not my strong suit. Plots tend to come to my mind more quickly than people, and I have to work really hard to turn them into people and not just back stories. I’m in the planning stage of a new story right now, and so I’ve been doing my due diligence. I think I’ve got my hero, heroine and villain figured out. Their personalities and profiles are all set to go. But this story requires several secondary characters. A blind sister for the hero and a troupe of vaudeville refugees for the heroine. Not to mention a slew of suspects and henchmen. I’m a touch nervous. I’ve noticed that in many stories, the secondary characters are little more than props. They serve a functional purpose, but only to force the action of the plot or provide someone to talk so that there can be dialogue instead of narrative. In other tales the secondary characters are so vivid they are more interesting than the protagonists. They steal the show. Maybe that’s why pundits suggest not including children or dogs in novels. Either one of the traps are easy to fall into. I’ll walk the tightrope to the best of my ability. If I don’t get the balance right the first time… well, that’s what rewrites are for. 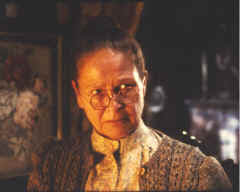 Marilla Cuthbert (Anne of Green Gables)-Despite her crusty exterior, she grows to love Anne as fiercely as a mother, even when she doesn’t understand the girl a lick. Ramses Emerson (The Ameila Peabody Mysteries)-Especially as a child, his clear headed, precociousness made such a delightful foil to his parents. He is such an interesting amalgam of the two of them. 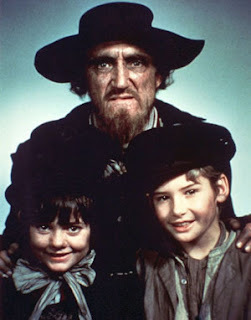 Fagin (Oliver Twist)-Now some would say he’s the villain, but I think the real villain of that story is Bill Sykes. Why is he a favorite? Because he isn’t all bad, just trapped by circumstances and his own weakness. Without him and the Artful Dodger, Oliver would have starved on the streets before he could complete his rags to riches story. Even if you don’t like him, you’ve got to admit he’s a memorable character. Huckleberry Finn (The Adventures of Tom Sawyer)-Here’s a tale of character so compelling he demanded his own story. But first he played second fiddle to Tom Sawyer. Either way he’s an irrepressible scamp and I love him for it. Dr. John Watson (The Sherlock Holmes Mysteries)-Without good old Dr. Watson, there’s no way we could relate to Sherlock. But because Watson likes him and stands in awe of his talent, so do we. He’s absolutely critical to the success of those stories. I think of secondary characters as being mirrors for the h/h/villain. When they see themselves in the light of the secondary character, we see them better as well. They also become a measuring stick by which we see the h/h's growth. For example, Melanie in Gone with the Wind. We don't necessarily want Scarlett to be more like Melanie, but she grows into a more well-rounded person by her influence. In Emma; Miss Bates, the antithesis of Emma. By pointing out how opposite Miss Bates is from herself, Emma learns the hard way to soften her edges. And that's all I can think of this morning, so maybe I'm way off base. Your new story ideas sound fascinating, Lisa. Here's something I've noticed lately in my study of characters. Protagonists should be relatable and likeable, but secondary characters are where you can really have fun. Zany, outrageous, evil, awkward, whatever. I've been noticing the same thing even with my kids television shows like ICarly, Zoe 101, Ned's Declassified School Survival Guide, Victorious. I think you keep the cast of secondary characters from stealing the show by keeping us grounded in the eyes of the relatable one. That said, I really enjoyed writing my sisterhood novel which had a group protagonist. I did have to file some of the edges off my primary protagonist to keep her relatable, but had a lot of fun with the other young women. I think Dickens was the master of secondary characters. Somehow he made each one of them memorable and necessary to the story. L.M. Montgomery runs a very close second. In all her books, not just the Anne books, she creates very distinctive secondary characters, even if they seem somewhat similiar (like the maiden aunts in the Emily books). Secondary characters can add so much to a story! Trying to think of great secondary characters. Running through the books I've read in the last few years, I remember nearly the full casts in all of Steven James novels and also Roseanna White's Stray Drop of Blood, Lisa Samson's The Passion of Mary-Margaret, and Siri Mitchell's Loves Pursuit. But, by far my favorite single secondary charcter of the last few years was Sema the signing Gorilla in Angela Hunt's Unspoken. Interesting thoughts, Deb. I hadn't considered the secondary characters to be a mirror. I'll have to mull that one around a little. I think you're right, Dina, It's easier to get away with truly bigger than life secondary characters. Maybe because they aren't "on screen" as much. It might get exhausting to spend an entire book in the head of that one wacky aunt. Anne, one of my favorite LM Montgomery characters is Davy. The little boy that comes to live with Marilla after Anne's teaching. His sister, Dora is there too, but even Anne notes that Dora is too good to be interesting. Love that! i really need to read that book, Dina. I've heard such great things about it. Ha ha, which one, Lisa? I mentioned a bunch. Fun post, and it's got me thinking. I agree that writing secondary characters is where I can really let go and have fun! Great point about Dr Watson, too. He is a perfect example of a secondary character showing the reader how likable the main character is. I was noticing this during the new PBS BBC Sherlock episodes. I could see how the members of Scotland Yard could be put out with Sherlock despite his brilliance, but John's appreciation of Sherlock's talents softened his edges. Now I'm wishing I didn't have to wait a year for more Sherlock. Well, to piggyback on your Anne of Green Gables comment, I loved Matthew Cuthbert. His presence in Anne's life made such a difference in that story.He added to her character arc, while having his own. Unspoken of course, Dina. Can't you read my mind! Great mention about Emma, Deb! Sevearal of the secondary characters are personifications or reflections of Emma's flaws. I've noticed, like Dina, how secondaries become exaggerations of real life. More evil, prude, funny, absurd, phobic, etc, than normal...well, certainly more than the main character. What I loved about Lost was how the secondaries where the glue that held the major characters in check or propelled them to greatness. In the end, it was two secondaries (Hurley and Desmond) who saved everyone. Susie, I was really impressed with Sherlock. liked it a lot and so did my husband who isn't a notable mystery fan. You're right, Beth. Matthew was the one person in Anne's who encouraged her dreams. He was an incredible character. I still always cry when I watch the part of the movie where he passes away. Gina, you may have persuaded me to go back and watch Lost. I never got into it because I didn't see the beginning. Seems like we run the risk of turning them into caricatures rather than characters if we make them TOOO whatever. What do you guys think? Oh, I forgot to add that I think Julie Lessman does a fabulous job balancing out her leads and secondaries in her family sagas. One frustration I've had when reading is when the secondary seems like s/he is only there because the author intends on the character to be the lead in the next book. This is more likely to happen when the secondary is given a point of view, in addition to the two or three leads. Mary Connealy in Montana Rose did a wonderful job developing her book 2 heroine, Belle, in making her compelling enough for me to want to read her story but not so compelling that she overshadowed book 1's heroine, Cassie. Well done! Interesting points, Gina. Julie tends to have a lot of POVs in her stories doesn't she? I think it works really well for some authors like Julie and the Thoenes. I tend to have fewer. May just not be at a place where I can do that yet and still make everyone distinct! My secondaries tend to be a bit over-the-top, or else I meet them and think, "Ooh! New character for next book!" Keeping them from becoming cliches while keeping them interesting is a a challenge! Lisa, excellent post, girl!! And secondary characters are a particular fondness of mine because most people shirk and shortchange them when they can be incredibly valuable in A) rounding out the main character, B) providing valuable contrast between the main character and them and C) increasing the reader's affection for the main character just by virtue of the secondary character's affection for them. In fact, I just had a breakthrough in my 3rd book in the Winds of Change series WHICH I have not written on in almost three months. I was nervous and scared to tackle it again because I felt the 40 pages I already had written of the story were flat and the hero and heroine even flatter. BUT ... just this morning, I interjected a number of paragraphs about the secondary character (best friend of the heroine) and HOLY COW!!! In just a few short paragraphs here and there, infusing the secondary character with life and personality, I suddenly LOVE the heroine and not only the heroine, but have that hubba-hubba factor going on now for the hero as well, and ALL because I bolstered the secondary character's part!!! AMAZING!!! So I get frustrated when people underestimate the importance of secondary characters in our books -- to me, they are invaluable! And thanks SO much, Lisa AND Gina, for your kind words. I had to come back to this post. I just had a secondary character offer a challenge to my hero which just bumped the plot up a notch and plays right into my theme. One of those "YES!" moments. Obviously I have pretty smart 'secondarys'. By the way, I just got to the next book on my TBR. Something titled Passion ... A Passion Denied,maybe? Anybody heard of it? I'm always about a book or two behind. Who can keep up with all those Seekerville authors, anyway? A prolific bunch! A Night of Promise: How Will You Respond? Welcome, Matt Livigni, author Journey Bread! Who are You Sitting Beside? Welcome Award-Winning Author Linda Goodnight!